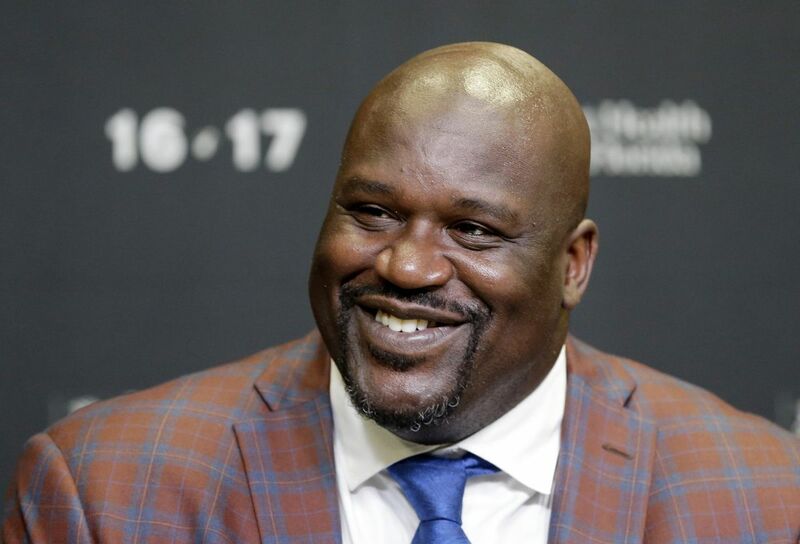 Shaquille O’Neal is a retired Hall of Fame professional basketball player who most famously played in the National Basketball Association for the Los Angeles Lakers. Shaq, as he is best known as, had a 19-year long career in the league which let him feature for a total of six teams. He won the NBA Championship on four occasions, as well as numerous other accolades that include an NBA MVP title. He is widely considered as one of the greatest players to ever play the sport and has so far been elected into the Naismith Memorial Basketball Hall of Fame (2016) and the FIBA Hall of Fame (2017). Since retiring, the 7 feet 1 inch tall, three hundred and twenty-five pounds heavy athlete has taken to various other activities including acting and sports analysis. He currently appears on the television program Inside the NBA. O’Neal was born Shaquille Rashaun O’Neal to Lucille O’Neal and Joe Toney on March 6, 1972, in Newark, New Jersey. Following his biological father’s imprisonment and paternal rights relinquishment, he was raised by his mother and her husband, Phillip A. Harrison, a career Army sergeant. Due to his step father’s work in the United States Military, Shaquille O’Neal moved around a lot as a child. He grew up in New Jersey, but also spent time in Germany and then Texas where he attended and graduated from Robert G. Cole High School in San Antonio. O’Neal played high school basketball for the school, helping them to win 68 games and losing only 1 game over a two-year stretch that saw them win the state championship during his senior year. Shaquille O’Neal went on to enrol at Louisiana State University where he played under coach Dale Brown. While playing at LSU, O’Neal was twice named unanimous first-team All-American and SEC Player of the Year. He was also awarded the Adolph Rupp Trophy as the NCAA men’s basketball player of the year in 1991. After three years of college, O’Neal opted to drop out to pursue a career in the NBA. He was selected in the first overall pick in the 1992 NBA Draft by the Orlando Magic who he played for from 1992 to 1996. Following a lengthy contract dispute with the Magic franchise, Shaq moved to Los Angeles to play for the Lakers in what was at the time, the biggest contract in NBA history. O’Neal enjoyed huge success with the Lakers after he formed a partnership with Kobe Bryant. He helped his side to win three consecutive NBA Championships before he was traded to the Miami Heat in 2004, following a dispute with management and Bryant. With the Heat, O’Neal won his fourth championship and reached a career milestone of 25,000 points. He further played for the Phoenix Suns in the 2008-09 season, the Cleveland Cavaliers in the 2009-10 season, and then the Boston Celtics in the 2010-11 season before calling time on his career. Shaquille O’Neal was previously married to Shaunie O’Neal (nee Nelson). The couple, who had been dating and had children long before their marriage, exchanged vows at the Beverly Hills Hotel on December 26, 2002. Their marriage lasted for five years before they separated on September 4, 2007. Despite patching things up and reconciling shortly after their separation, Shaunie went on to file for divorce two years later on November 10, 2009, citing irreconcilable differences. Shaunie O’Neal, who used to work as a film marketer, is currently a television personality, creator and producer of the reality television Basketball Wives among other efforts. She has a total of five children; a son named Myles from a previous relationship and then Shareef Rashaun, Amirah Sanaa, Shaqir Rashaun, and Me’arah Sanaa with Shaq. O’Neal’s first son, Shareef Rashaun O’Neal, is following in his father’s footsteps to play basketball after originally having no interest in the game. He currently attends Crossroads School in Santa Monica, California where he plays High School basketball as a senior. He has committed to join the University of California, Los Angeles where he would play for the Bruins men’s basketball program. Shareef, who as a high school basketball freshman, stood tall at 6 feet 7 inches tall, is a polar opposite to his father’s playing style, thanks to his better shooting ability as well as his more athletic build. Profession(s): Basketballer, Actor, Entrepreneur, Rapper, Wrestler.